In case you’re worried, if you have ginger hair like myself have no fear! We’re not trying to juice you. OK bad (very bad) joke aside, today I’m bringing you a complete guide to the best juicers for ginger and ginger shots. You’d think making a ginger shot would be easy because it’s sometimes one ingredient but not so. It actually takes the right equipment to make a really great ginger shot and that starts with the right type of juicer. I’ve got my top 3 picks in the table below, just click the name and you’ll be taken to Amazon where you can read some reviews and order yours today! 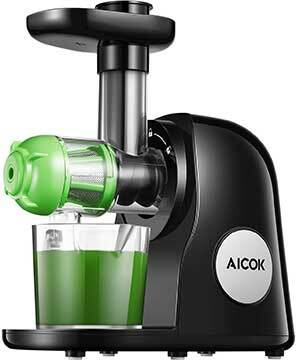 If you’re stuck for choice my top pick is currently the Mooka small juicer. 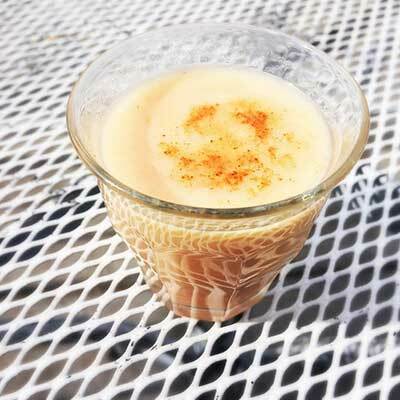 You don’t want to drink a really pulpy ginger shot, you want a nice smooth shot that goes down easy, at least as easy as a shot of pure ginger can. In my opinion, the best way to get that is from a masticating juicer rather than a centrifugal one. What’s wrong with a centrifugal juicer? On the whole nothing, but for ginger and ginger shots it’s a problem because the spinning blades can get hot, and they got hotter if there’s not enough in the juicer as is the case if you’re having a ginger shot. And the extra heat can destroy some of the nutrients and enzymes that are present in the juice. I’m sure there is still plenty of goodness left but not enough! I’m fickle and like my juice to be as healthy as possible. Plus the amount of juice you get is usually lower and when you’ve only got a small piece of ginger you want as much of that turned to juice as possible. So Masticating is the way forwards? Masticating juicers sort of chew up the fruit (masticate means chew after all) which is a slower more thorough process leaving you with a really smooth ginger shot at the end. And it tends to leave you with more juice which is what you want when you’re only juicing small amounts. Just a couple of tips that I know are going to make your ginger juicing experience a little better. I know most vegetables you can put in whole but trust me, you want to peel your ginger first, the skin is just too thick and gnarly and doesn’t juice well. Ginger is strong so beware! Pure ginger juice is really intense and takes some getting used to. You can tone it down with lemon juice or even coconut water to make it more enjoyable if you’re just getting used to it. So Which Ginger Juicer Should I Buy? And one that I’ve answered! 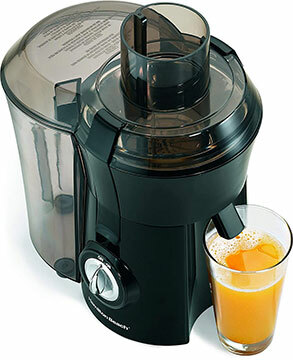 If you’re serious about juicing then you need to get this Omega Nutrition Center. It’s been the best juicer around for a long time and does amazing things to ginger. It’s got really great yield so you’ll get more juice for the amount of ginger you put in and it does it nice and slow so nothing gets heated up during the process. It’s also a really nice stainless steel body which gives its a really classy look if you’re going to keep it out on the counter top, some of the plastic ones can look a bit cheap and yoU Want to hide them away in the cupboard but not this one. If you’re looking to make ginger shots and generally use ginger in your juicer then this is the way to do it, it’s the best way to make a commitment to you and to your health and start treating yourself to delicious juice every single day. You won’t be disappointed. Now to be absolutely clear, I mean it runs quietly for a juicer, there is definitely still noise! As for the juice, you get a really good yield for the size of ginger you put into it. The chute size is plenty big enough to fit ginger in and although it gets lost in the giant cup if you’re just making a shots worth it does a really efficient job. Overall a really nice juicer for making ginger shots or anything else with ginger. A stand-up juicer that will make a ginger shot that leaves you needing to sit down again. 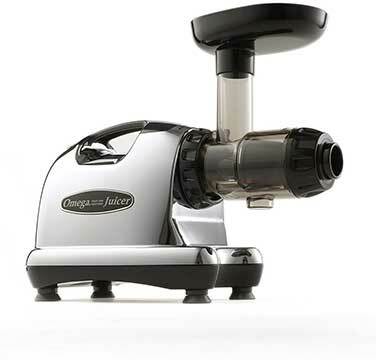 OK another bad joke aside I do really like this juicer, it’s got a nice steady 80 rpm which does a really slow and thorough job of juicing ginger. I’m a big fan of doing it once and doing it right, there is nothing worse than feeling like you have to put the pulp back into the juicer to make sure it’s actually gotten everything the first time. 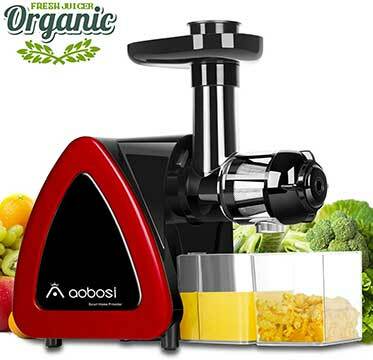 Which is what makes this such a great juicer, it does a really effective job and produces a nice yield of juice. It’s also a nice compact size so it fits well into any kitchen, not too tall so it fits into most cupboards which is handy if you don’t have a lot of space in your kitchen. WHAT?? BUT YOU SAID CENTRIFUGAL WAS BAD!! Yes I know I did but bear with me! The Hamilton Beach juicer is ideal if you’re looking to juice ginger as part of other drinks not just as a standalone drink. So if you like adding ginger to bring some spice to your normal drinks then this is the one for you. 3-inch chute big enough to put fruits and veggies straight into and it has a good yield. It doesn’t come with a collection cup for the juice but I actually quite like that, it means you can cut out the middleman and save on a step of washing up. Yipee! It makes short work of ginger but if a ginger shot is what you’re after then go with one of the two above.